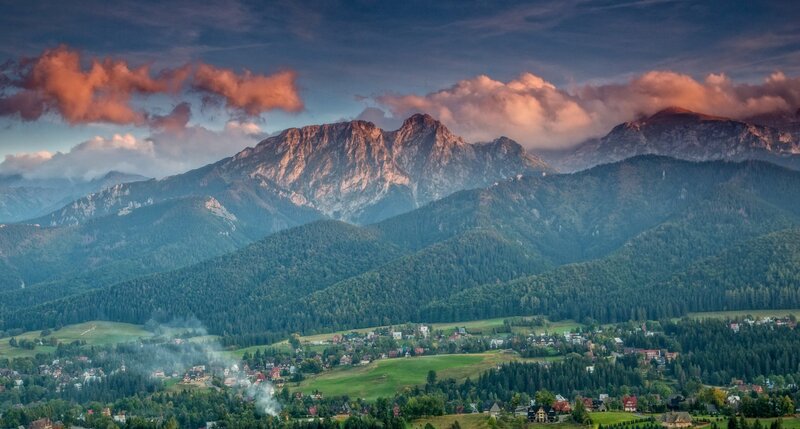 Wonderful views, countless hiking trails, crystal clear mountain air:the heart of Polish mountains is beating in Zakopane. Residence Gubałówka is a place where you can enjoy the beauty of Polish nature with your whole family. Highland style combined with modern elegance - it is the comfort of the highest class in a unique style. Wonderful landscapes deserve to be reflected in the interior. Gubałówka Residence awaits you with cozy interiors close to nature, inviting to relax. Tradition in the modern version: you will find here the richness of flavours and aromas, which are famous for highlander cuisine.